INDIANAPOLIS – Hoosiers could get a tax break for taking firearms safety classes or buying a gun safe under a bill co-authored by a Fort Wayne state representative. Another local lawmaker has offered a bill requiring teachers to complete a firearms proficiency course to legally possess a gun on school property. Overall, about two dozen gun bills have been filed in the Indiana legislature this year. Many of them are backed by Democrats and have little chance in chambers controlled by Republican supermajorities. Proposed legislation includes requiring safe storage of firearms, banning so-called bump stocks and requiring people convicted of domestic violence to surrender their firearms. GOP lawmakers have filed bills to eliminate handgun licensing fees and allow Hoosiers to take guns to church even if the place of worship is connected to a school. Rep. Ben Smaltz, R-Auburn, thinks his income tax credit is great public policy because it encourages responsible gun ownership. House Bill 1109 has been assigned to the House Ways and Means Committee because it costs the state revenue. The maximum credit would be $200 for individuals and $400 for married couples filing a joint return. According to a fiscal analysis the cost is indeterminable because it's impossible to know how many Hoosiers would take advantage of it. Indiana State Police statistics for 2014 to 2017 show that an average of 90,000 firearm licenses were issued each year. 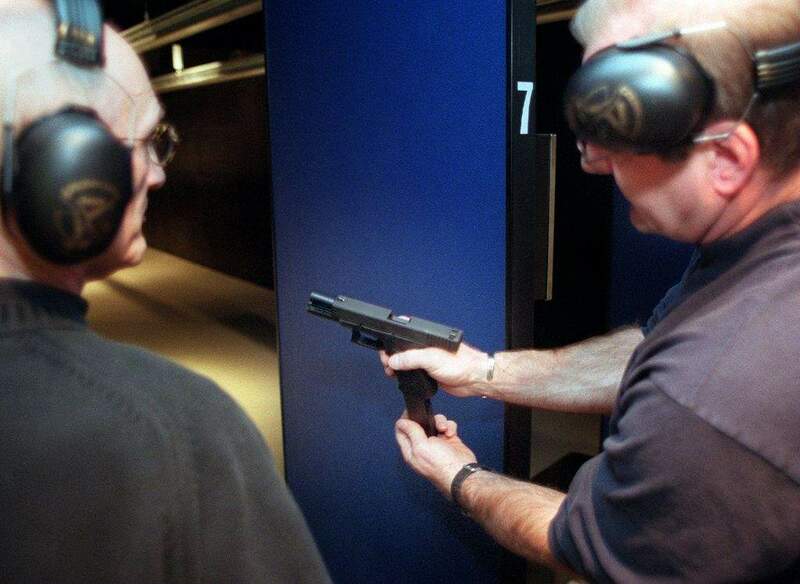 Assuming that 10 percent of the average number of new firearm licensees receive qualified firearms training and claim $200 each, the revenue loss would be $1.8 million annually, the fiscal note said. Since the cost of a course is estimated to be above $200, each individual enrolled in a training program could claim the full $200 tax credit. The cost of a gun safe runs $200 to $1,000 and it is unclear how that would impact the bill. Rep. Chris Judy, R-Fort Wayne, is offering the bill on teacher training. Under current state law, schools have the option of allowing their teachers to carry weapons on school property. Jay County School Corp. recently became the first known district to install gun safes on school property. The district approved a plan in October allowing selected volunteers from the faculty and staff to retrieve the guns and use deadly force in case of an attack. Judy's bill would require a person be certified by an association or other entity approved by the school safety board to be authorized by a school board to legally possess a firearm in or on school property. “It's a high minimum standard if a school district chooses to go that route,” he said. Judy said House Bill 1129 is one part of an effort by lawmakers to focus on school safety, including providing additional state funding to harden schools, mandating school shooter drills and helping students with mental illness.